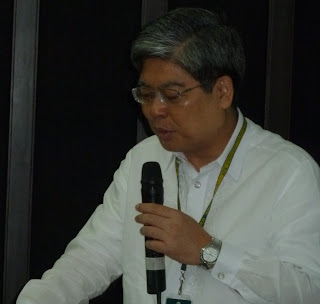 FILCOLS executive director Alvin J. Buenaventura explained how academicians and researchers can protect their copyright on the internet during the Far Eastern University (FEU) Educational Tech Forum held at the Audio Visual Room, Science building last November 26, 2012. Dr. Michael M. Alba, newly appointed FEU president, opens the Forum. 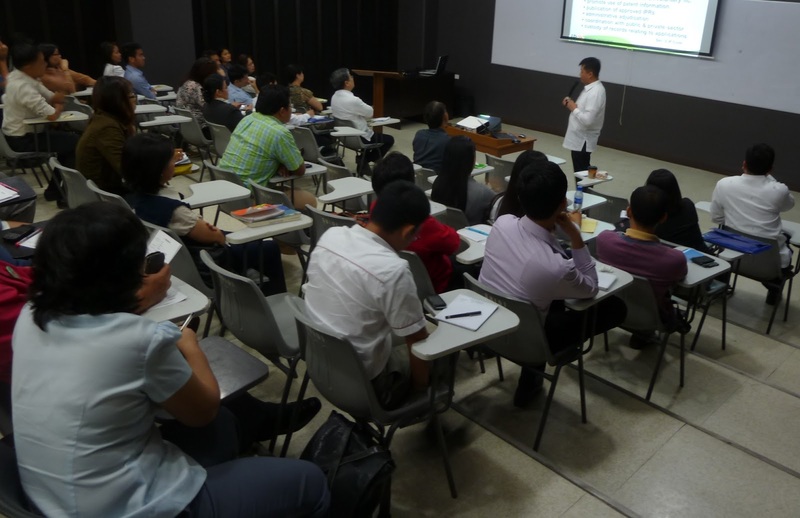 The event was organized by Mr. Harold John D. Culala, director, Educational Technology which is under the university's Academic Development Office. The theme "World Wide Web: Implications to Intellectual Property Rights," addressed the concerns of university-based writers and even inventors. 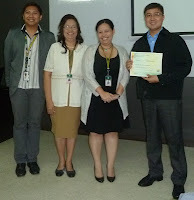 FEU EduTech Forum organizers awarding the certificate of appreciation. 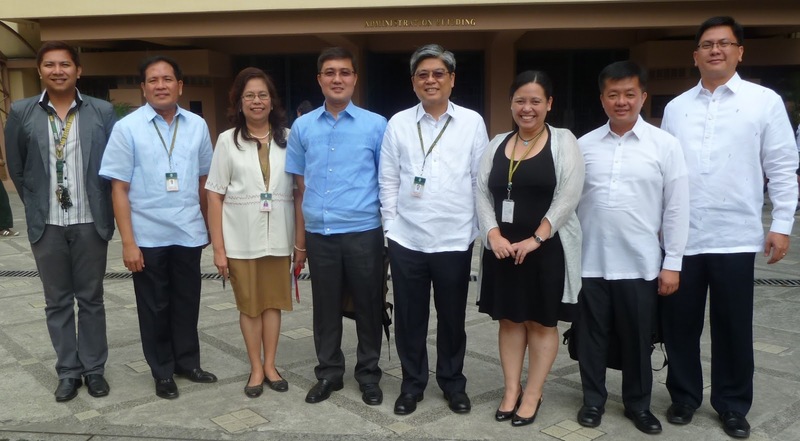 (l-r) Mr. Harold John D. Culala, director, EduTech; Dr. Auxencia A. Limjap, consultant, Academic Development; Dr. Maria Teresa Trinidad P. Tinio, senior vice president for academic affairs, FEU; and Alvin J. Buenaventura, executive director, FILCOLS. Buenaventura pointed out that while academicians are incensed by the rampant cases of plagiarism and "cut-and-paste" practice among students, there is indifference to large-scale photocopying of works for the internal use of educational institutions. Plagiarism violates the moral rights of authors. Large-scale photocopying violates the economic rights of authors. Both deserve to be addressed properly. Moral rights and economic rights are the components of copyright. FILCOLS agrees that some small and occasional photocopying of works may be allowed under Fair Use. These do not need the permission of the copyright owners. However, large-scale and systematic photocopying of copyrighted materials for the internal use of educational institutions may not be fair to rightsholders. These large-scale photocopying "conflict with the normal exploitation of the work" (Berne Convention, 9.2) and go beyond what is fair because of its effect “upon the potential market for or value of the copyrighted work.” (IP Code, sec. 185.d). Just because the photocopied materials are for classroom use does not automatically mean the use is legal and fair. "FILCOLS signed its first licensing agreement with The Manila Times College last July 2012. 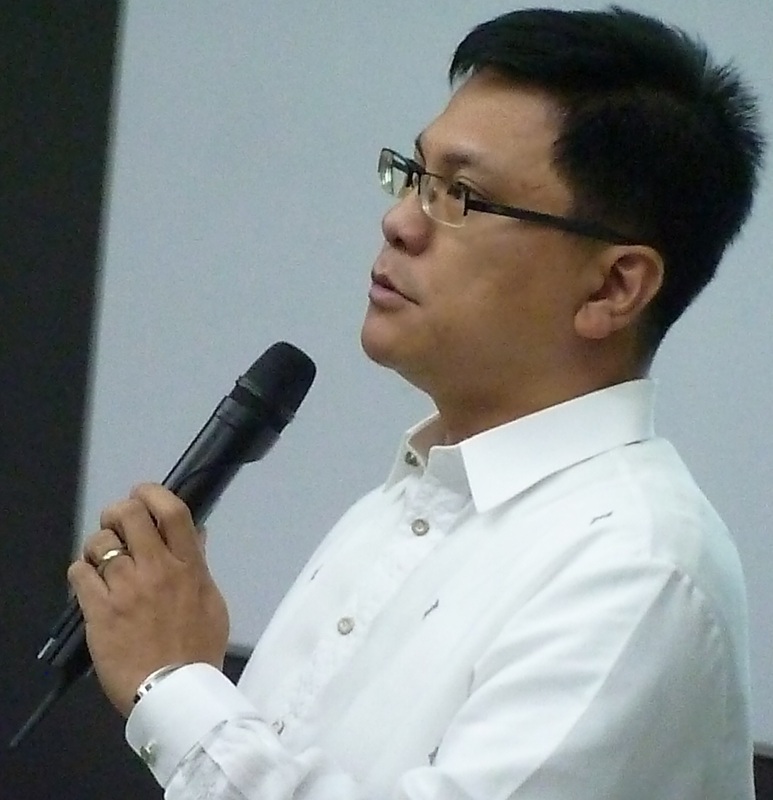 I appeal to FEU to address the problem of systematic and massive photocopying of copyrighted works by getting license from FILCOLS," Buenaventura stressed during his presentation. FEU officials and faculty listen to Atty. Louie Andrew C. Calvario. Atty. Louie Andrew C. Calvario who represented Director General Ricardo Blancaflor made a presentation on the government's thrusts and initiatives on IPRs and the internet. Calvario is the head of the Copyright Support Services Unit of the Intellectual Property Office of the Philippines (IPOPHL). Atty. Christopher Cruz explained how educators should stand as promoters of academic integrity among the studentry. Atty. Christopher Cruz, De la Salle University - Manila IP Director and Assistant Professor. The Panel of Reactors were Dr. Joey Tem, faculty, Institute of Accounts, Business and Finance; Mr. Freddie Quinito, faculty, Institute of Education; and Mr. Joeven Castro, head, University Research Center. FEU EduTech Forum. 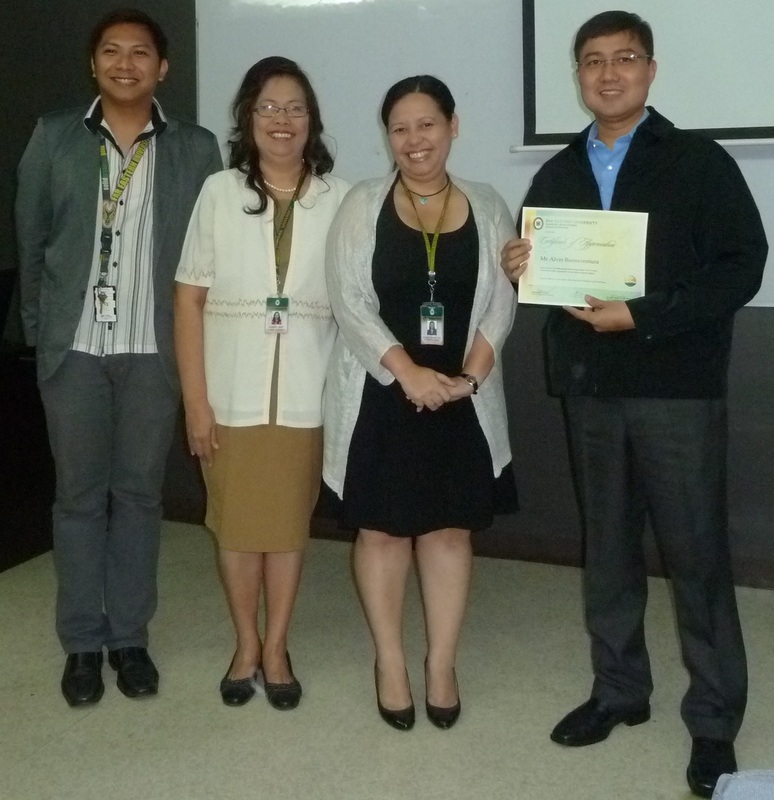 (l-r) Harold John D. Culala, director, Educational Technology; Arch./En.P. 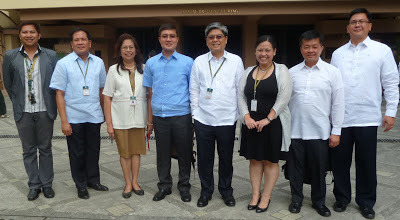 Miguel M. Carpio, Ph.D., senior vice president for academic services; Dr. Auxencia A. Limjap, consultant, Academic Development; Alvin J. Buenaventura, executive director, FILCOLS; Dr. Michael M. Alba, president, FEU; Dr. Maria Teresa Trinidad P. Tinio, senior vice president for academic affairs; Atty. Louie Andrew C. Calvario, head, Copyright Support Services Unit, IPOPHL; and Atty. Christopher E. Cruz, assistant professor, De la Salle University - Manila.